Are you ready to run your first cycle of anabolic steroids for all-out mass gains? You should expect to gain 15 to 25 pounds if you train correctly, and experience only minor side effects. Let’s check out some of the details you may have overlooked! You are definitely testing your luck if you are attempting to purchase steroids online from an unknown source. You don’t know about the quality, the safety, or any law enforcement involvement. It’s a great risk you may be taking for an impure product. Think twice if you are unable to be assured of quality or at the very least order from an online pharmacy where many of the gurus you know and trust have had good experiences. Before you make that first injection, you’ll want to know exactly what your goals are. If adding ten pounds of water weight to your frame isn’t something you can tolerate, you need to plan that into your cycle. You cannot just quit your cycle mid-stream and not expect a dramatic crash. You should always plan ahead for both the positive and negative side effects commensurate with your goals. You will find 3 to 4 times the amount of gains to be expected when you add a second compound to your original drug. For this reason, it’s almost required for an off-season steroid stack to consist of two or more drugs. 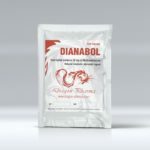 Testosterone and Nandrolone work together in a very successful manner, making it probably the most common and popular stack. You will likely be using fairly large amount of fairly toxic compounds for your cycle. For this reason, the cycle should be short (6 to 10 weeks). 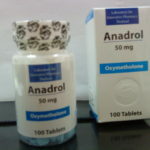 The immediate result of heavy androgen use will be fat and water gain, hair loss, acne, and increased aggression. By the 8th week on these compounds, the side effects soon become unmanageable. It’s almost unfathomable to imagine those bodybuilders who stay on the same heavily androgenic cycle all year round. Aside from their own natural testosterone production, the long-term effects of the continuous and cumulative side effects are something that should scare even the most veteran user. A the conclusion of this heavy 8 to 10 week cycle, you’re going to want to immediately jump to a per-contest ramp-down stack. Commonly used AI or SERMs following a cycle will allow the bodybuilder to ramp down his testosterone levels gradually, and will keep estrogen levels from spiking, which is often the cause of very terrible side effects. The decision to run a mass cycle is one that should be weighed very carefully. Steroids are serious business when taken in a small compromise or cutting cycle. When they’re used in a highly toxic mass cycle, they become something much more unnerving. Don’t allow yourself to damage your body and health, or lose personal freedoms by using a poorly planned mass gain cycle. Think it through, and plan ahead!